Previously announced at this year's Mobile World Congress tech expo event in Barcelona, Spain, the brand new Nokia 7 Plus has finally landed on the Philippine shore. The Nokia 7 Plus is the company's smartphone offering in the upper-midrange category. Its one of main features focuses on the smartphone photography side of things. For a start, this handset's triple camera set up is all equipped with ZEISS Optics. On the rear side are two shooters sitting side-by-side pegged at 12MP with f/1.7 aperture and a telephoto 13MP configurations, and up to 2X optical zoom functionality. The third ZEISS Optics-equipped camera is situated on the front panel with 16MP resolution for selfies and groupies. 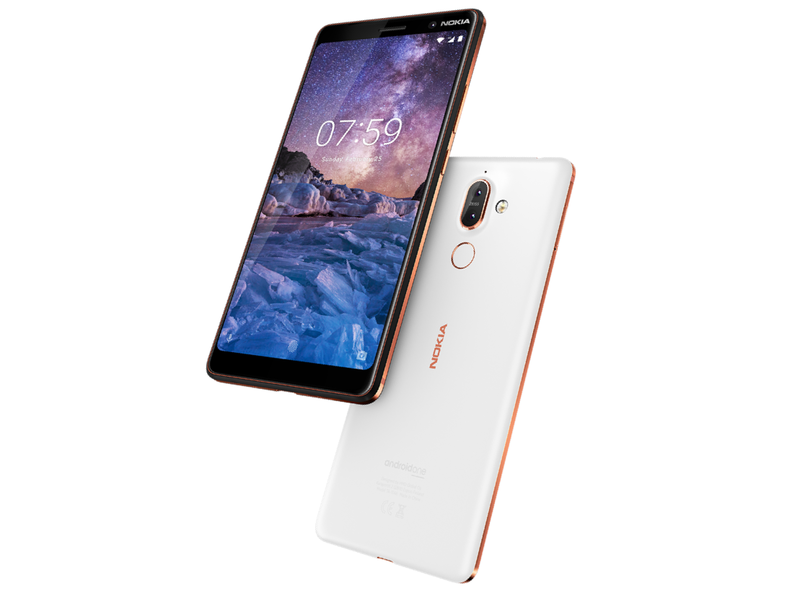 Software wise, the Nokia 7 Plus runs pure Android OS at 8.0 Oreo version. What's more is this phone is under the Android One program by Google itself which guarantees users regular software updates and OS upgrade for two years. Like many other smartphones from different well-known brands, HMD Global's Nokia 7 Plus now also sports the new 18:9 aspect ratio for a more screen real estate and a more immersive viewing experience. This latest display technology is integrated with the device's large 6-inch display with Full HD+ or 2160 x 1080 resolution. The hardware that come with this phone is something very serious as well. Powering from the inside is a Snapdragon 660 octa-core processor clocked at 2.2GHz and is paired with Andreno 512 GPU and a roomy 4GB RAM. For storage purposes, users will get a standard 64GB variant that can be expanded via microSD card for up to 256GB. The 3.5mm audio jack support is still present in here as well as Type-C USB feature, and of course the fingerprint scanner for security and privacy needs. Keeping the lights on is a massive 3800mAh battery which according to HMD Global ensures users of up to 2 days of battery life. This also supports quick charging tech, the company added. The Nokia 7 Plus will be available in two color varaints, black-copper or white-copper, starting on April 27 across the Philippines with a suggested retail price of Php21,990.